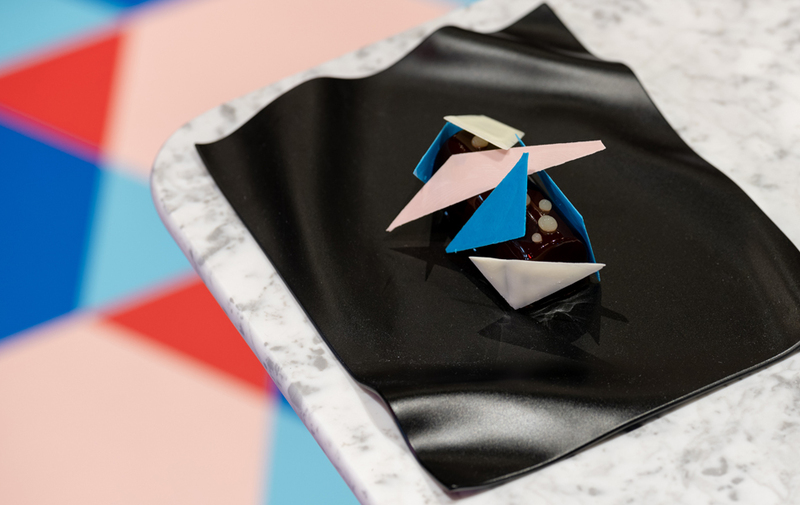 As a project, Nocturnal Animals has been conceived to break away from the stuffy rules of fine dining and provide its visitors with an incredible experience.The designers aimed to create an unpretentious venue drawing inspiration from one of the most colourful periods of British history. 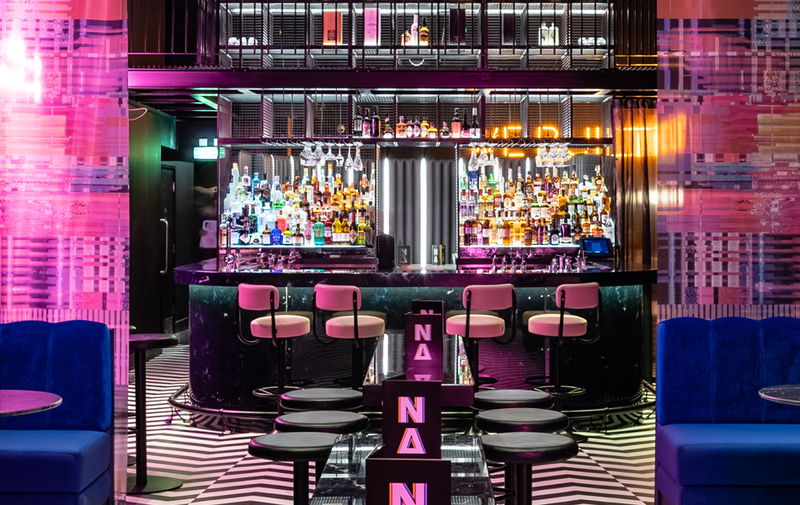 The venue is home to strong, dark colour palette that brings to life pop culture of the 70s and 80s. The place features many neon and steel accents, adding to the interesting finish for its interiors. 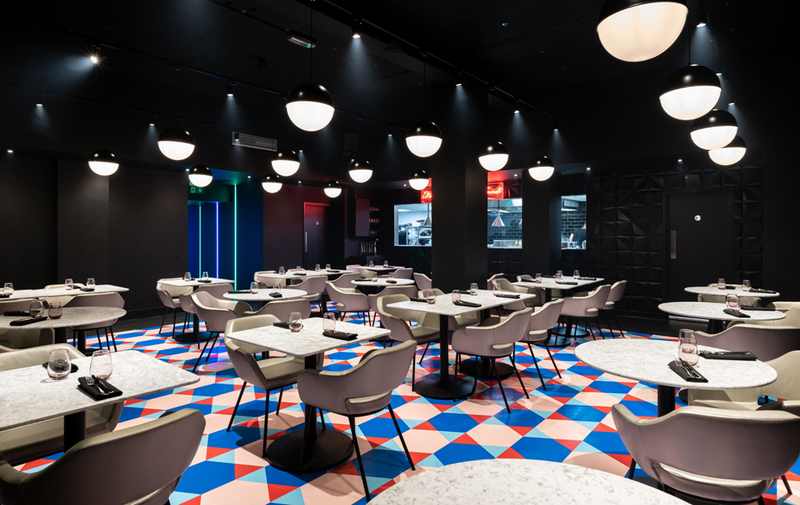 Versital worked closely Faber Design who created this fabulous venue, and also 2G Design and Build, who project managed sourcing all of the materials and fittings to bring the bold project to life. 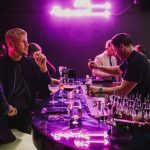 Together the companies created a stunning bar and dining destination, in a style never before seen in Birmingham. Versital supplied made to measure bar front panels as well as a custom bar top for the main cocktail bar in the venue. The designers selected ‘Stratos’ marble finish, which beautifully compliments the rest of the interior. An edgy dark blue marble, this modern venue gives the classic marble a new lease of life. For more information on our marble bar tops or our bar front panels take a look at information guide. If you would like advice, samples or wish to place an order for a bar tops or bar front panels, please call us on 01204 380780, or email us at sales@versital.co.uk.